UC San Diego stem cell researchers will receive two grants worth more than $2.2 million, the university announced Friday. The California Institute for Regenerative Medicine’s governing board approved the grants this week. 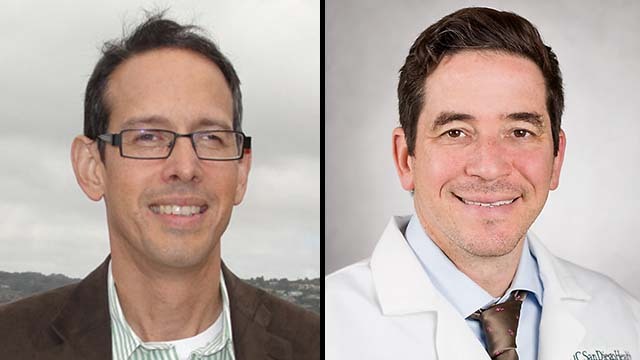 UCSD professor Eric Adler, a cardiologist, was awarded $1.4 million to research the use of genetically modified hematopoietic stem cells to treat Danon disease, a rare genetic disorder that affects the heart. Hematopoietic stem cells give rise to other blood cells, which could have an application in treatment. The condition is often inherited from a parent and is often misdiagnosed as heart failure, according to UCSD. The condition involves weakening of the heart as well as muscles used for movement and cognitive ability. There’s no cure for Danon disease, and the condition is fatal unless a heart transplant is performed. Adler is one of few U.S. researchers studying the condition, according to the university. UCSD pediatric pulmonologist James Hagood was awarded the other CIRM grant, for $865,282, to research the use of a different type of stem cell, mesenchymal stem cell extracellular vesicles, as a therapy for pulmonary fibrosis, a lung disease that occurs when organ tissue becomes damaged and scarred. Existing treatments can ease symptoms, such as breath shortness, dry cough and fatigue, but lung damage can’t yet be repaired, according to UCSD. Mesenchymal stem cells can differentiate into a variety of cell types, including bone, cartilage, muscle and fat. Extracellular vesicles, meanwhile, carry information between cells, and play a key role in the development and progression of pulmonary disease, according to the university. Researchers want to better understand how mesenchymal stem cell extracellular vesicles function and how they can be modified to increase anti-fibrotic potential. Voters approved creation of the CIRM in 2004 to fund accelerated stem cell research. UCSD researchers have received at least 99 CIRM awards, totaling more than $215 million, since the CIRM was created.